At the Royal Commission Colleges and Institutes, the curriculum is perceived as the formal mechanism by means of which intended educational goals are real­ized. This formal mechanism comprises learning and instruction, and thus ‘cur­riculum’ is defined as the set of skills taught on a particular course, in a sequential manner and over a set period of time, including theoretical and practical aspects, and for which there are established assessment procedures and standards. 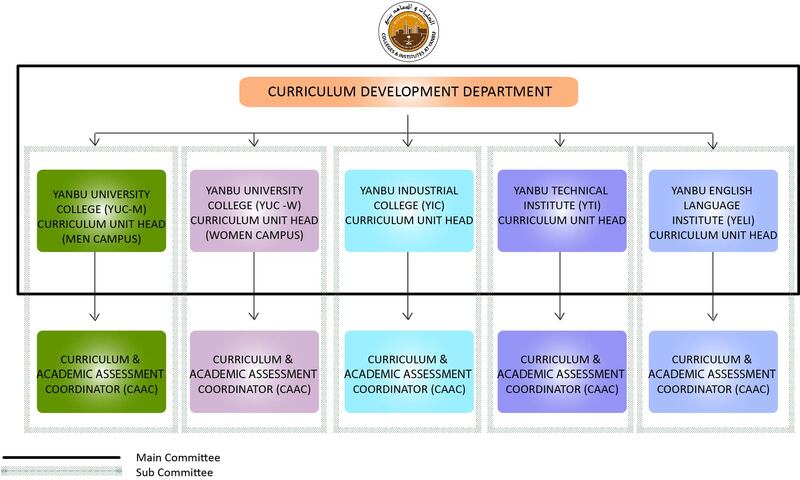 Provide support and advice to respective departments on the develop­ment of high quality curricula, which contribute to the vision of the Royal Commission Colleges and Institutes,. Ensure adherence to prescribed educational standards (e.g., Industry-based Education, ABET/ACBSP) among departments. Ensure that the curriculum offered by the Royal Commission Colleges and Institutes, is in tune with the needs of the World of Work. Consult with convening groups on curricular issues. Review and make recommendations for course materials, textbooks, curriculum management software, library resources, and for student learning experiences. Work with the Academic Planning Committee to affect improvement and changes as appropriate in all areas of the curriculum. Competency Based Education at RC Colleges and Institutes. CBE helps each learner to acquire generic competencies as well as the specific competencies needed in his area of specialization. In addition, it stimulates the transfer capacity of learners through focusing on innovations and problem solving, explication of problems, self-reflection and self-assessment. The central idea is to create the 21st century learning students and graduates which involves four learning and innovative skills (4Cs) namely Critical Thinking, Communication, Collaboration and Creativity. Our CDD partners are really helpful. They added fruitful comments and made our work move easily and smoothly toward meeting the deadline for our new track approval. Many thanks to the Curriculum Development Department for expediting the entire textbook ordering process in a timely manner in spite of the challenges we faced and the endless paperwork. Many thanks for their assistance with the Textbook Management Software system.